Tenstreet IntelliApp automates the collection of driver work history and employment data through the web at the first point of contact with driver applicants. Using our digital signature technology, applications include signed drug and alcohol releases without the need for a fax. The interactive application ensures the completeness and accuracy of the driver's 3 (or more) year employment history, and can dynamically change to capture additional data depending on previous responses. The IntelliApp insures faster, more accurate data collection for recruiting with far less manual intervention, resulting in improved recruiting productivity. 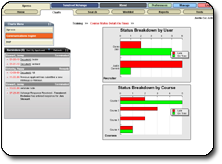 Tenstreet Xpress is an easy to use system to manage the flow of applicants, background checks and approvals, designed to increase your efficiency. The process of verifying an applicant's employment history is often a jumble of faxes, phone calls and web sites. The coordination of all these data sources is problematic at best. Many carriers are reduced to sticky notes, highlighters and countless hours standing over the fax machine. Tenstreet Xchange is a better way. Many trucking companies are so focused on how to recruit employees that they neglect to work to retain them afterwards. 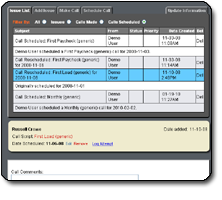 Tenstreet Xtend ensures that there is an effective communications channel between employees and management. It is a program to reach out to employees during vulnerable periods of their tenure and capture employees' perspective on how things are going. Opportunities for improvement are surfaced. Employees that may have slipped through the cracks can be helped and retained. For many companies, paper-based forms have long been a necessary evil. 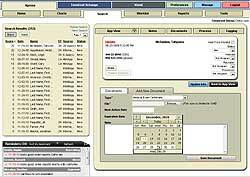 Companies have spent large dollars automating and streamlining other manual processes, but creating forms online has taken a back seat. But what if you could get a legal signature in an online form? What if your forms fit naturally into your processes, enabling you to do things you've never been able to do in the past? 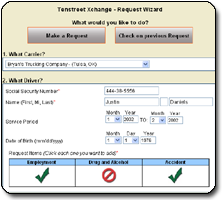 Tenstreet's Forms engine answers those and many other questions.